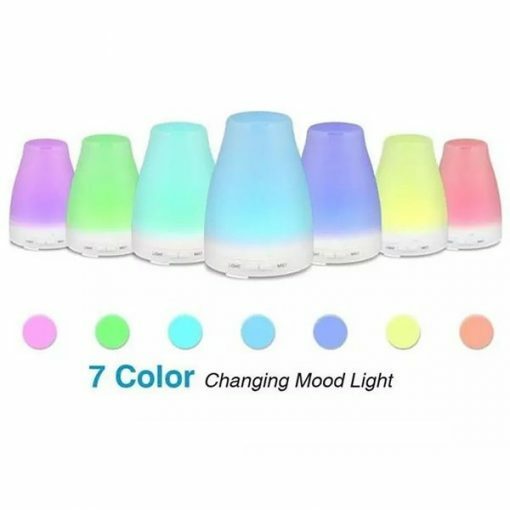 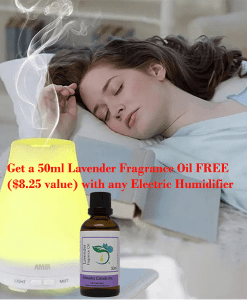 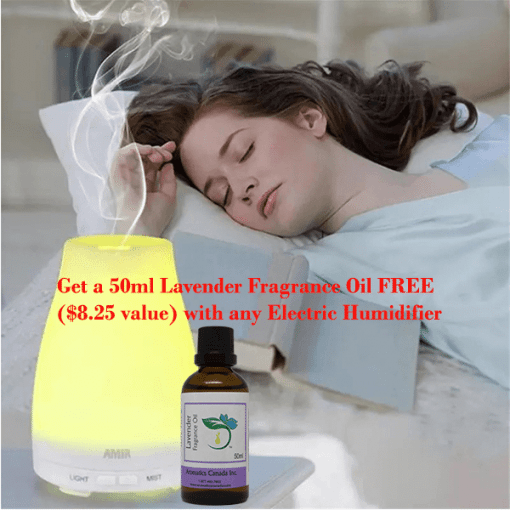 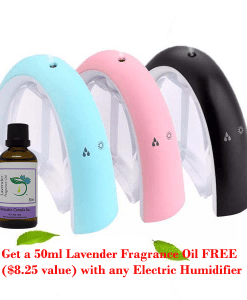 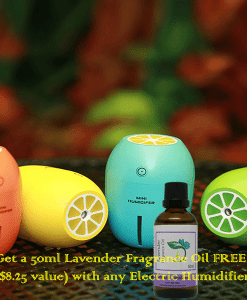 New 7 Color LED Ultrasonic Aromatherapy Diffuser with 50 ml Lavender Fragrance Oil - Aromatics Canada Inc.
Water-soluble essential oil can be used in this product, giving you a spa at home environment. 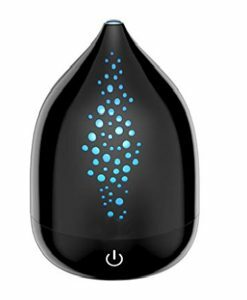 Ultrasonic technology turns the water or fragrance solution into mist. 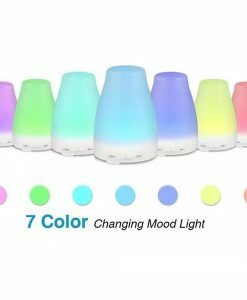 The unit changes light color automatically to three soothing colours. 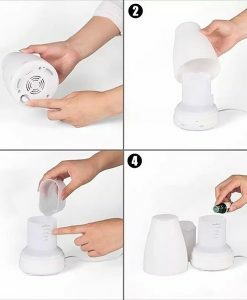 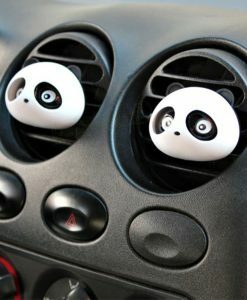 Humidifies the air in the room during summer and winter, refresh the quality of air we breathe, and adjusts the temperature in the room. 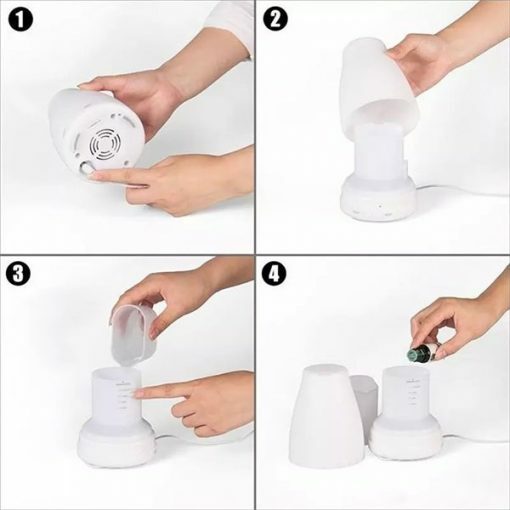 Neutralizes static and reduces skin infections. 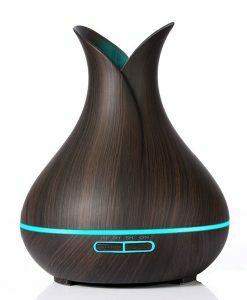 Aroma therapy, relieve strain and ease stress. 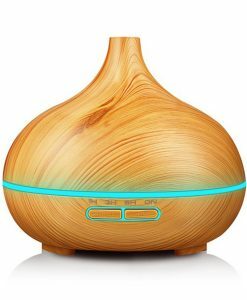 Warm atmosphere in the room by adding a few drops of our high grade essential oil in the atomizer tank. 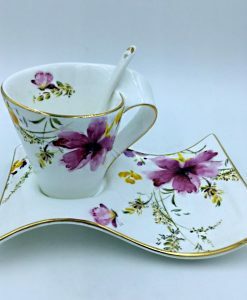 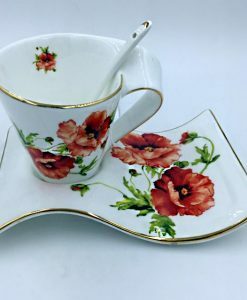 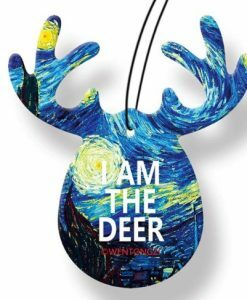 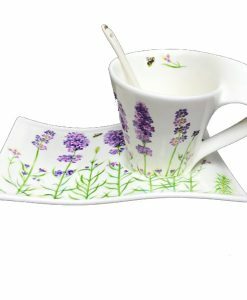 Size: 14 cm x 10 cm approx.